Still beaming here, well on Thursday 19th April 2012 at The Burlington Hotel in Dublin we were awarded The Green Retailer Award for 2012 at The Green Awards of Ireland. We were particularly delighted as this was the third year of being shortlisted in the same category, and to win in our 10th year of taking over the business is major acheivement and reflects the hard work from the whole team. 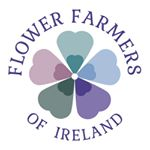 To be included with the likes of other award winners like Nemos Horticulture, ERP Ireland, Rehab Recycle The Department of Education and Cloughjordan shows the high calibre of the other entrants. And as you can see we were all pleased as punch with our green awards which was also aided by a glass or two of organic wine. As any of you who know me dressing up in a suit and tie is a rare occasion so I have included a picture of myself (tie removed earlier on) with Duncan Stewart of Eco Eye and Chairperson of the Judging Panel and Ciaran Walsh of Nemos Horticulture with his fantastic Supernemos a biological control which won two awards (The Green Product Award & The Green Innovation Award). It is great to see horticulture being represented at the Awards and even better it makes sustainable gardening more mainstream. Still beaming, still in shock but very delighted that The Secret Garden Centre has been awarded The Green Retailer Award for 2012.